We’re finally getting around to summer – even as we barely escape the grasps of winter and spring weather. And what a month May was! We certainly had our hands full after the major hailstorms, as we’re sure many of you did too. If you are one of the unfortunate homeowners who needed your roof replaced after the hail, make sure you let us know as soon as the new roof is completed so we can update your policy. And let’s hope Colorado doesn’t follow that same weather pattern this summer! Luckily, between all of the wild spring storms, our office was able to sneak away to one of the non-profits we support, Guided Hope. 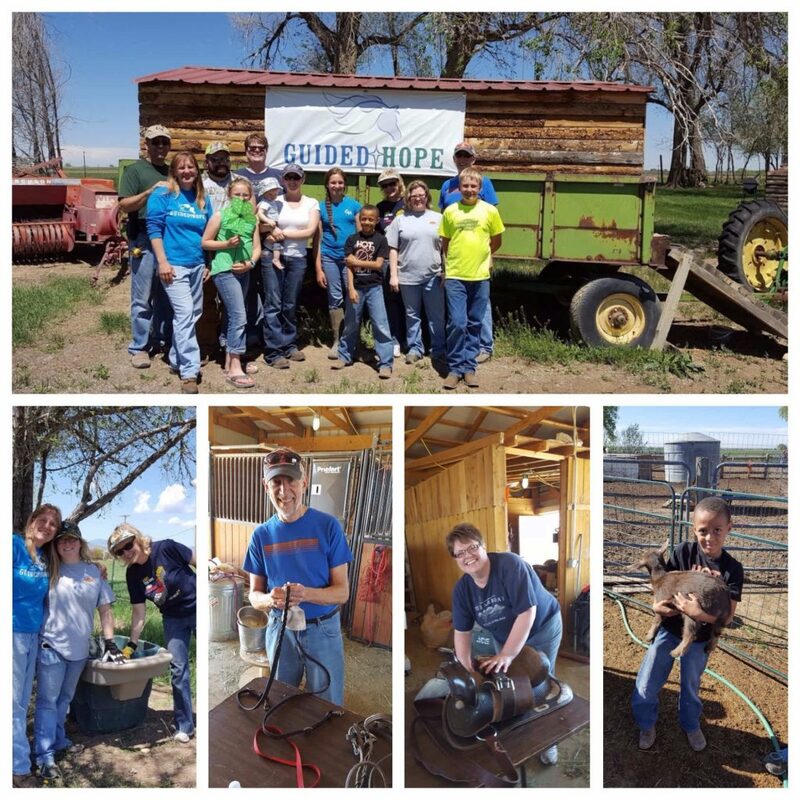 It is a helping hands ranch located on the west side of Berthoud, CO. When we arrived at Guided Hope we were greeted by founders Guy and Kaarin Scoma as well as two big happy dogs. We toured the farm and met a variety of beautiful animals including: horses, steers, llamas, goats, sheep, pigs, chickens and ducks. During our visit, the Scomas shared some of their upcoming plans for the ranch. The big project they are currently working on is Hope Trail, where guests will be able to trail ride on their property with a variety of activity stations along the trail. After the chit-chat, it was time to get to work so we broke up into teams. As we combined hands with our coworkers, other Guided Hope volunteers, and the family members of Guided Hope, we became overjoyed with a sense of accomplishment. We even worked together to remove an old barbed wire fence along the Hope Trail Path to ensure the trail would be safe for horses and their riders. Just that small glimpse into how therapeutic ranch work could be was eye opening. It was a pleasure to volunteer with this caring family! We deeply absorbed the full effect of the ranch and its mission to help us learn, bond and feel inspired.